You are here: Home / Birth Stories / A Homebirth after 2 Cesareans….say what!? A Homebirth after 2 Cesareans….say what!? Happy New YEAR!! 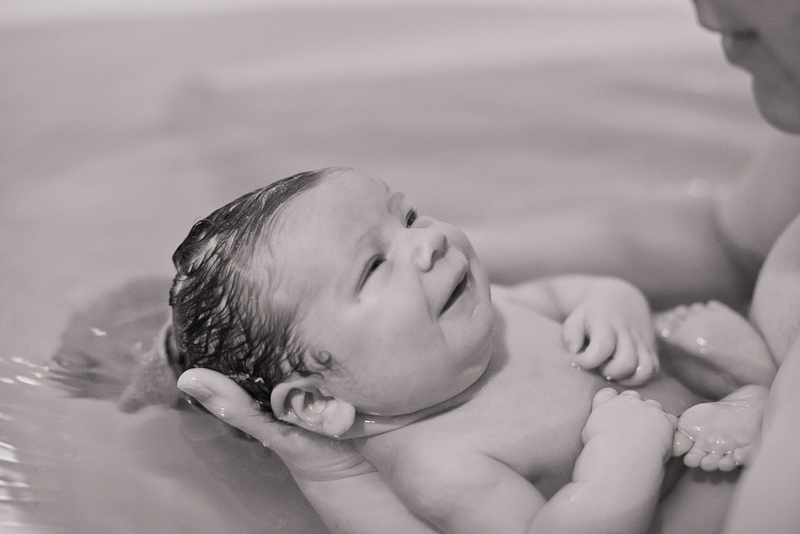 To kick off the year i’ve got a guest post from a friend who recently achieved a HOMEBIRTH after 2 cesareans! She is amazing and i take my hat of to her…she also happens to be the lovely lady who photographed my last birth (sorry must give you the last installment of that!!). Introducing Britt Louwrens – photographer extraordinaire and one amazingly strong mumma! Home birth after 2 cesareans. That little phrase evokes one of two responses: praise or judgment. Some applaud the feat, while others think it was luck. Thing is, it really shouldn’t be a big deal. After two traumatizing cesareans (one being unnecessary, the other, a vbac attempt in hospital, being a necessity), it was a no-brainer for me. I wanted a natural, calm birth in my own environment, where I was comfortable in my surroundings, confident in my medical care, and where I was assured that my birth wouldn’t be interfered with…where the clock wasn’t watched, where my body was allowed to do what it needed to do, in the way it needed to. Where my baby would be born into the environment it was accustomed to the bacteria/germs already, where no other hands other than those of loved ones would touch her. Where I knew every member of my birth team intimately, those who were confident in my ability to birth and were positive it would happen. Safely. I knew the risks (very minimal), I knew the research, I was well educated on not only the safety of a vba2c, but doing so in my home with my amazing and competent midwife, Rachele. It was a no-brainer for me. I knew I could do it, I knew my baby could do it. No big deal. But, having gone through 24 hours of labour with my second son (and getting to 8cm), I knew what I was in for. Dreading the pain, the unknown. Dreading the possibility I would have to transfer, to never have the opportunity of a vaginal birth (this being our last baby). In the weeks leading up to labour, I started getting a lot of prelabour – a lot of irregular and mostly painless, but uncomfortable, contractions. And in the days prior to labour, it seemed those closest to me wanted to lovingly voice their fears and worries about the upcoming birth. Although it was hard knowing that others were worried, I knew I had the research on my side, and I was more determined than ever to see this through. I remember the day before it all started, I had been having a lot of regular contractions, and it convinced me that I should probably clean the house in preparation. I spent a couple of hours that night a bit fearful of what lay ahead, but surrendering finally to what was meant to happen, what was about to happen. That night I got absolutely NO sleep as I was timing contractions and riding through them as they intensified and started lasting longer. This was it. Early Tuesday morning, Sep 17th, at 38 weeks and 3 days, I texted my midwife Rachele, and my dear friend and photographer, Joelle, to let them know that I was pretty sure things were happening and baby would be coming soon. My wise midwife said it was still early labour and she would give me a bit more time before coming. But having had a couple of bitey contractions immediately preceding the text and having to vocalize through them, I simply didn’t know how fast the birth would be, I told her I would rather her come sooner rather than later. And she did. Of COURSE as the sun rose, contractions started dying down. I was not happy with that, so as soon as Rachele (and Joelle) arrived, we started homeopathics to start things up again. And they did. But I still had hours ahead of me, and I sent Rachele away to pick up her friend from the airport (which was exciting as this friend is a birth guru and I was honoured that she was going to be at my house as I laboured!). 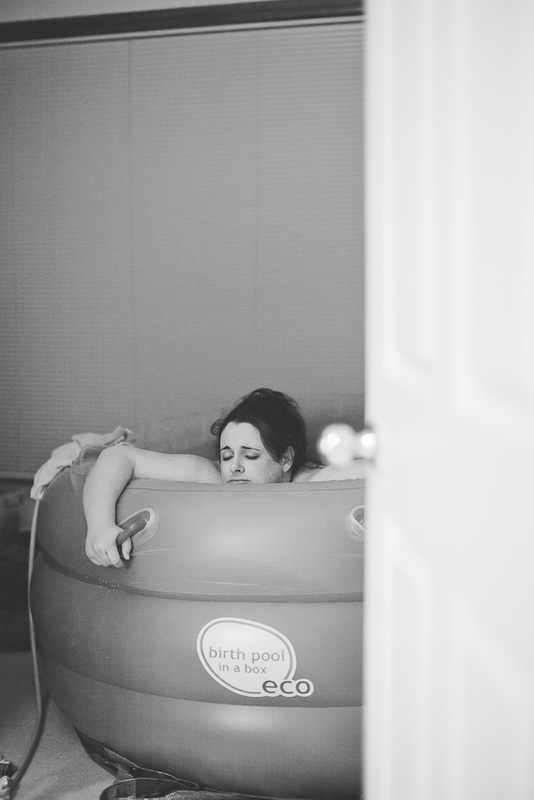 By the time Rachele and L got back from the airport a couple of hours later (about 2pm), contractions had definitely ramped up and I was happy to jump into the birth pool, which was BLISS. I kept thinking that SURELY I was at least 5 or 6cm dilated. Looking back, I am pretty sure I was not even that far along at that point. The following hours are mostly a blur…hours filled with tears and a few emotional meltdowns. I was in and out of the pool (mostly to go to the toilet as I was constantly sipping water, raw milk, tea and labouraid), walking, squeezing the life out of hubby’s hands, trying to rest between contractions (because I was so tired at one point, I couldn’t keep my eyes open and kept wanting to pass out) and texting my best friend Mel, who had her mum and friend praying for me every step of the way (she even at one point drove to my house with her 4 boys in the car, parked outside and just prayed. Friends like that are diamonds in the rough!). I begged Rachele to break my waters to hurry things along, to transfer me for an epidural, to do an internal to see how far I was…none of which she did, thank goodness. Everyone kept telling me that I WAS progressing, that my body was doing what it was supposed to do, that I was doing amazingly. And I just kept whining and complaining that it was taking too long, that it wasn’t fair I had to have these long labours, that I couldn’t do it anymore, I was tired, blah blah blah. I did not labour gracefully as I had wistfully imagined I would. There was no escape, no rest, no end in sight and I was losing hope that this baby would ever come out…at least before I passed out. I remember at about 7:30pm, I received an encouraging text from my friend Mel, and it literally changed everything. I resolved to finish this birth. I resolved to stop complaining, embrace the pain and just freaking get this baby out. There was no other choice. I hopped back in the pool, put on some worship music and while everyone left the room and turned off the lights, i slept. My body knew i needed the rest and the contractions died right down in intensity and i was able to sleep, hanging over the edge of the pool. It was silent in the house. At about 10pm, I started waking up to the contractions again and they had completely changed; they were solely in my tailbone and I was starting to get pushy with them. I was so afraid to push as I got pushy too early with ds2 and my cervix ended up swelling etc., so I didn’t want a repeat of that. However, about an hour of fighting the urge to push, it became too intense to ignore and at Rachele’s advice, I went with it (11pm). I pushed sitting on the toilet (where my waters EXPLODED – literally there were pieces of membrane that we found later that had blown off), I pushed laying down on my side (that was torture), I pushed on my hands and knees, I pushed standing up, I pushed kneeling in the pool, I pushed sitting in the pool. But it was when I started pushing while squatting in the pool about an hour later (midnight) that things started moving. After a few pushes (the contractions were close together and VERY intense), I finally felt her head start to descend. Ill never forget that slightly burning sensation, and the relief of knowing she was coming and the end was near. Three pushes. Rachele and Joelle moved to behind me and used a torch to see what was happening (and Joelle was filming it, which has become such a treasured memento) as soon as I said that I thought she was coming. First push brought her head down into my birth canal. Second push and I felt her head emerging. I thought at the time her entire head came out on that push, but the video proved that it was only the top half. It was at this point Jonno (hubby) realized what was happening (as he was in front of me, holding my hands), and ran to wake up the kids. I don’t remember ANY pain with her coming out, just the relief of the knowledge that I was almost finished. Rachele suggested I reach down to touch her head, and I replied that I knew her head was there and just wanted her out. I could feel her twisting to maneuver her way out, and remember voicing my irritation that she was kicking me. I was not going to breathe her out like I had planned to. I just wanted her out. Aria Giselle born 12.23am on Wednesday, September 18th 2013. Ill never forget the look on her face as I brought her warm body out of the water. She was so alert and calm. She didn’t cry. I just kept saying, “Hi. Hi. Hi.” and holding her against my chest. She started breathing and making little sputtering sounds as the boys came in to meet their baby sister (I did double check she was indeed a girl). I barely remember anything else going on in the room as I was enamored by this new little being in my arms. After cuddling in the warm pool for a bit longer, Rachele wanted to monitor my blood loss, so I got out and we lay down on my own bed. Aria wasn’t interested in the breast at all, so we just had some skin to skin while I stared at and talked to her. I started getting contractions again (ugh, after so many hours of them, I just wanted them to stop! ), and about an hour after Aria arrived, the large placenta slid out (and Rachele said it was one of the healthiest she had seen in a long time). My youngest son (4 ½) cut the cord. I had done it. All naturally. At home. It wasn’t pretty and quiet and calm. But it was raw and wonderful and perfect. After the placenta came out, Aria and I shared a beautiful herbal bath together, where I was able to just gaze at her and bask in her newness and my amazement that something I had planned for 4 ½ years had actually just happened. While in my little bubble of bliss, Rachele pottered around cleaning up blood and towels and emptying the birth pool. We got out, got dressed, Aria got weighed and as everyone else was sleeping and Rachele and Joelle were leaving, Aria and I snuggled into bed together at about 4am (not that I would sleep more than an hour or two!). Pushing a 4.35kg (9lb 9oz) baby out left me with nothing more than a graze, which has already healed 2 weeks later, and everything is pretty much back to normal. The recovery has been such a dream after 2 C-sections. 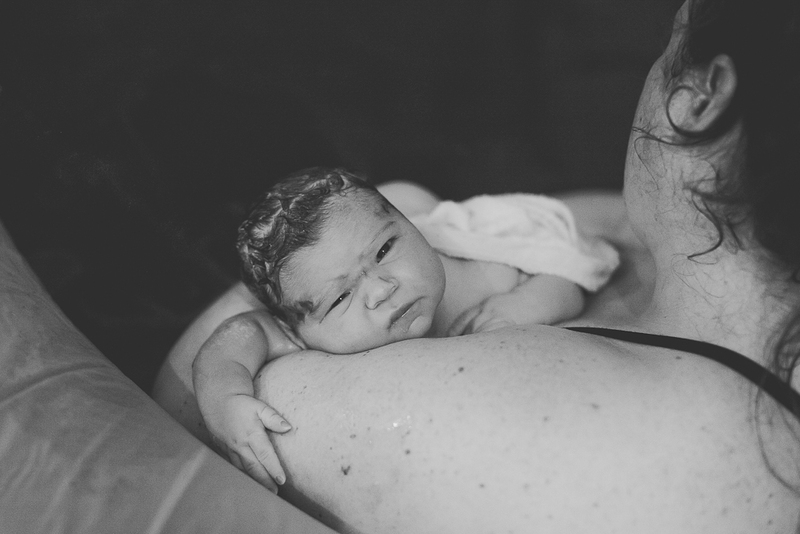 I remember throughout the labour, I kept saying “never again.”…and yet 2 weeks later, Id be happy to go through it all over again just for that rush of feeling my baby being born, and being the first person she touches and sees. So very special and something every mother should have the honour of experiencing. I will never forget those moments for the rest of my life. I’m so very grateful to my birth team – my friend praying for me endlessly until she arrived earth side, my other friend who documented it all in photos (and video), my midwife who was nothing but a support and voice of reason when I had lost my willpower, for my husband who was my rock throughout it all. Would NOT have happened without my little “village”. Its because of them my dream became reality. Eternally grateful. Always. And for Aria. Who stayed strong through the labour, who didn’t have any heart decelerations (the issue with ds2) and who didn’t poop until immediately after she was born (no meconium in the waters). Thankful to you darling, for doing what you needed to do, for doing your bit to make it happen.